The start of the new Chilean table grape deal has been much stronger than in 2016/17 thanks to the fall in production in northern Peru and South Africa. However, the fall in the value of the US dollar is likely to eat into their profits according to producer association Sociedad Agrícola del Norte (SAN). José Corral, director of SAN and northern manager at exporter Subsole, told El Día that exporters could no longer expect the high prices that existed previously during the early window. Instead, he said the best scenario exporters could expect in the future was to set a sales price that would allow for a smooth movement throughout the season. 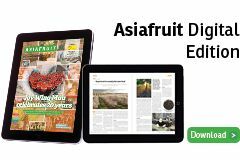 “Formerly, the first fruit of the season could sell for US$40-50 per box in the US market, but in the future we must get used to a range of US$24-32, depending on the quality and condition of the fruit,” Corral told the newspaper. María Inés Figari, president of SAN, warned that the industry could not afford to base its success on the misfortune of other countries. 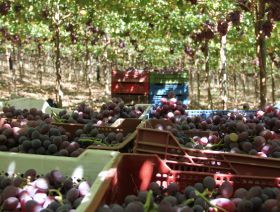 “The general outlook for Chilean fruit is unclear. We need to replace varieties and there is no certainty as to what will happen in the future, so it’s best not to have too many expectations,” she said. Corral added that the only way for Chile to compete with Peru and California is by raising yields and improving the quality and condition of its offer. He noted that although California is now able to supply the market throughout the whole of December and January thanks to the introduction of patented new varieties, the adverse climate was affecting the condition of the fruit available on the market and should clear the way for the arrival of imports from Chile and Peru from mid-January. According to SAN, Chilean shipments to date are running at similar levels to in 2014/15. “Unlike last year, harvesting has been quite relaxed – we’re seeing delays of between seven and 15 days, depending on the zone and variety, which has allowed a more orderly export programme,” Corral said. He called on the industry to continue its drive toward quality improvements, varietal diversification and the opening of new markets in the face of growing competition from Peru and California. “Poor quality fruit has no place in the market and Chile should aim to raise the quality bar.